Celebratory drinking has fueled Fourth of July festivity from its inception in the years following 1776, when double rum-rations for the troops, endless toasts at formal dinners, and makeshift booze-stalls at public gatherings became norms. And it was not long before high-minded patriots began to worry over the excesses of republican revelry. 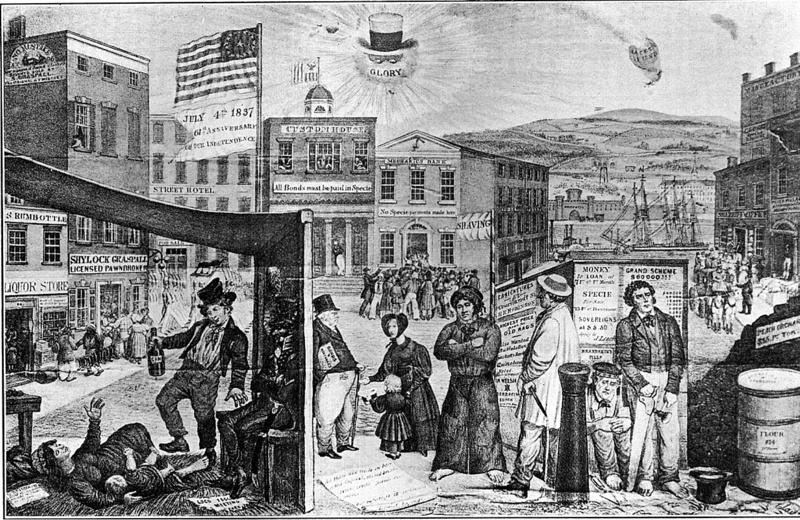 Before the Fourth of July oration itself became well established, there emerged within and alongside it a recognizable (if unnamed) theme in Independence Day rhetoric: the identification of that very day’s public drunkenness with whatever was ailing the republic. All was not well in 1837. Over the years, Independence Day jeremiads have taken numerous forms, from grim warnings about public health and morals, to wry satire of overzealous exceptionalism, to the ferocious indictment of national shortcomings. Many have focused on intoxication as the essential expression of decay, of hypocrisy, even of delusion. Complaints begin with the sheer recklessness of the traditional program of events. Just as Forbes reminded us this week that Independence Day is “the most dangerous holiday of the year,” and the National Council on Fireworks Safety issued a stern warning against drinking and sparking, in the Boston Recorder of August 3, 1823, an editor bemoaned the “destruction of life and limbs” wrought by that same combination of intoxication and ordnance each Fourth of July, calling it the nation’s “yearly sacrifice” to the memory of its founding. Abolitionists (many of them strong temperance advocates) perfected the mode of the Independence Day indictment, framing the day’s dissolution as an apt figure for the state of national ideals in the face of slavery. 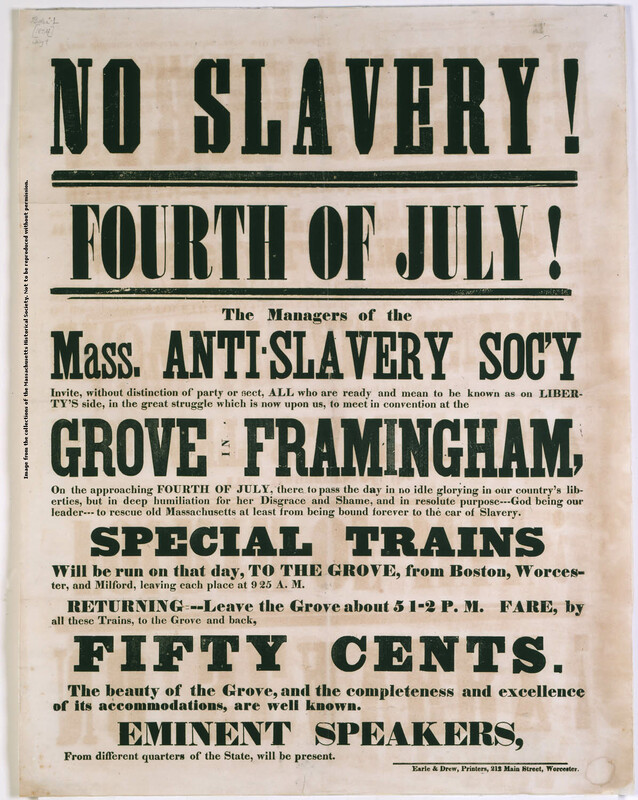 William Lloyd Garrison, who commenced his public career with a Fourth of July oration in 1829, opened his 1838 oration in Boston by mocking the celebrations as “the time-honored, wine-honored, toast-drinking, powder-wasting, tyrant-killing fourth of July—consecrated, for the last sixty years, to bombast, to falsehood, to impudence, to hypocrisy. It is the great carnival of republican despotism, and of Christian impiety, famous the world over.” They clepe us drunkards, he suggested, and it was more than a dram of evil that gave the lie to the day’s lofty rhetoric. There remains a recognizably cultural and political divide between those who believe Independence Day is for the unabashed celebration of the heroism and ideals of the Revolution, versus those for whom the highest form of patriotism is the stern confrontation of injustice toward the realization of those ideals. But some writers have tried to walk in the space between. One of the earliest and subtlest of Independence Day complicators was a satirical poem by Royall Tyler, the Boston lawyer and Vermont judge better known for his play, The Contrast (1787), and novel, The Algerine Captive (1797). 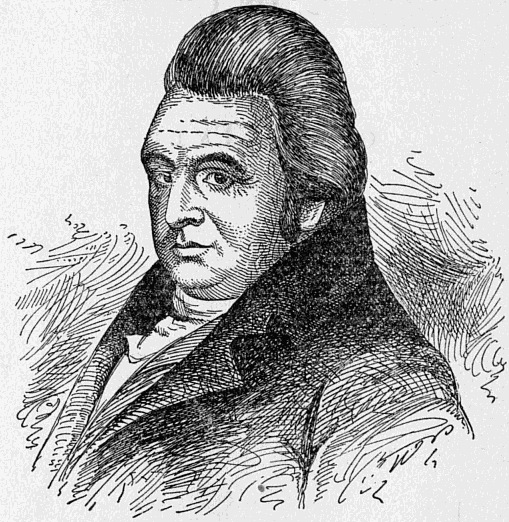 Royall Tyler (1757-1826), renowned for his own dissipated youth. Tyler’s lyrics were dismissed soon after his death in 1826 as as “short unstudied sallies of a sprightly fancy.” But his “Country Ode for the Fourth of July” (1796) is in fact a sharp-toothed satire. Quite popular in its day, it could have been enjoyed as a jaunty piece of rural color with “dialect” effects anticipating James Fenimore Cooper. But, in addition to the remarkable way it mimics the escalating pace of drunken dancing, it has dark notes. In it, the leveling effects of drinking enable delusions of equality in the face of slavery and status hierarchy. Here it is in full, as a contribution to this year’s celebration in which you can find merriment or mourning or both, depending on your temper. Heap the nutcakes, fried in butter. Maple sugar we have handy. Today we dance to tiddle diddle. And let us have a reel of six. This is the day of blest equality. And father, you cross o’er to Sambo. And let us have another go. On blundering mare, than beetle blinder. Sal, hold the beast, I ’ll take the baby. Good folks, we ’re glad to see you here. Your teeth can pull its corn-cob stopple. ’Squire, drink until you ’re blind. Happy 4th to all your sotted characters! for the U.S. of A.